If you want to uplift the employees’ appreciation of the organisation it is well-advised to focus on creating memorable and meaningful moments. 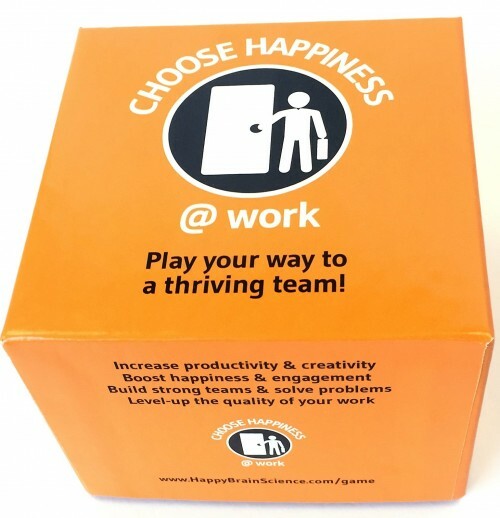 There is no need to create fantastic experiences at work every minute of the day. Creating WOW moments enriches the working days, so working does not become an endless row of interchangeable days. It helps to fight the boredom and tedium of everyday work, it connects colleagues and enhances the happiness of employees at work. Therefore, highlights at work lead to an overall better work experience. What if I were to ask you what you remember from the past year. You might remember an awesome birthday party, a unique meeting, the illness of a loved one and a very funny moment during your holiday. In short, you think of memories that stand out and things that impressed you, both highs and lows. Because that’s how our brain works. If we consider the day, the week or the year, we don’t think of every single minute. We think in moments. And those moments determine how you look back. For instance, if you were to make tally marks every hour of how you value the day, that might strongly differ from the total valuation you would give the day in retrospect. That’s because memories quickly fade away and the highs and lows stick with you. Appreciation for your job works in exactly the same way. We remember special moments at work and that experience determines your appreciation. By no means is the appreciation a minute to minute average. It’s the appreciation based on moments you recollect. Not all moments are weighted the same. Negative experiences linger much longer in the mind than the positive ones. Some events affect you more than others. The length of a moment is not a determining factor: a five-minute conversation at the coffee maker may have a greater impact on you than a two-hour meeting. Not all peak experiences are highlights. There may also be lows at work, such as an internal position you missed out on, an unwanted reorganisation, a deal that fell through, an ICT system that is down and the impact of administrative errors. There may be moments full of shame and disappointment. Usually, those don’t come unexpectedly and they are no incidents. It’s not a question of whether something goes wrong, but rather when. That’s precisely why you can brainstorm in advance on how to turn such a low into a meaningful moment for colleagues, so the ultimate experience is a positive one. Each company organises its own moments throughout the year: Christmas breakfast, a sports day or charity run. But if these events are the same year after year, causing employees to count on them and if the contents don’t vary significantly, the peak experience fades away. When do moments become WOW experiences? Research shows that your brain mainly attaches meaning to the experience regarding a beginning (such as the first day at work), a transition, peak experiences (both high and low) and an end (such as leaving an organisation). are unlike others. The moment really stands out: surprising, really over the top at times. It leaves a big impression, tickles your funny bone and is often highly unexpected. For instance, a management team that hugs everyone on arrival in the morning, a special birthday cake colleagues made for the birthday boy or girl, a choir singing to a departing colleague, a video message from the team to a sick co-worker or a game during a meeting. provide insight. An eye-opener that gives your life a twist, a message that gets across. It can happen spontaneously in a conversation with colleagues, but also organised during a training on for instance your purpose in life or career. are milestones to be proud of. Properly celebrating a result the team has achieved, the first time someone gives a presentation to a group of people and is praised for it, celebrating the first 100 days in service or the festive completion of a project. enhance connections at work. Through social events such as company outings, doing volunteer work together, taking an outward-bound training, and taking a moment to think of life events of co-workers, such as the birth of a child, someone moving or a wedding, and celebrating them together. Focus on your purpose, core values and culture, and translate those into WOW experiences. This will enhance your organisation’s alignment and give more meaning to the experience. Would you like to emphasise, for instance, family culture? Then, make WOW experiences from moments you would also celebrate in private with the family, such as birthdays. Allow colleagues to do a little extra for each other, in time and sometimes also in money. Don’t whine about efficiency and leave out practical objections. Let others do what they want if they want to organise something. Reaching a WOW experience with an e-mail is not an easy task. Face to face will leave a much bigger impact. So, if you want to make the signing of the employment contract a peak experience, don’t send the contract by e-mail, but send the new colleague an invitation and make it a memorable moment. WOW experiences don’t just happen naturally. You need to create, organise, maintain and renew them together. Someone in the team or organisation should feel responsible and take the lead. If you don’t, the WOW experiences will dilute and wither. And, unfortunately, the overall appreciation for the work will then also ebb away.